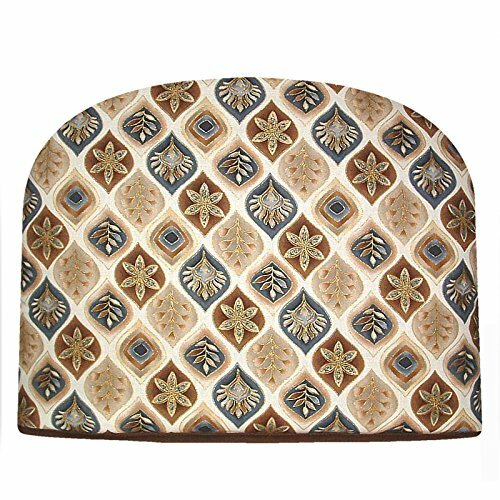 Leaf Tea Cozy with a pattern featuring assorted leaves enrobed in geometric shapes with gold accents in blues and browns, on a cream background with a brown lining. Large Teapot Cozy covers 2 Cup, 4 Cup, or 6 Cup Teapot - measured from inside 9 1/2 " H x 12" L x 7 W. Made in the USA. 100% cotton - quilted item polyester filled.